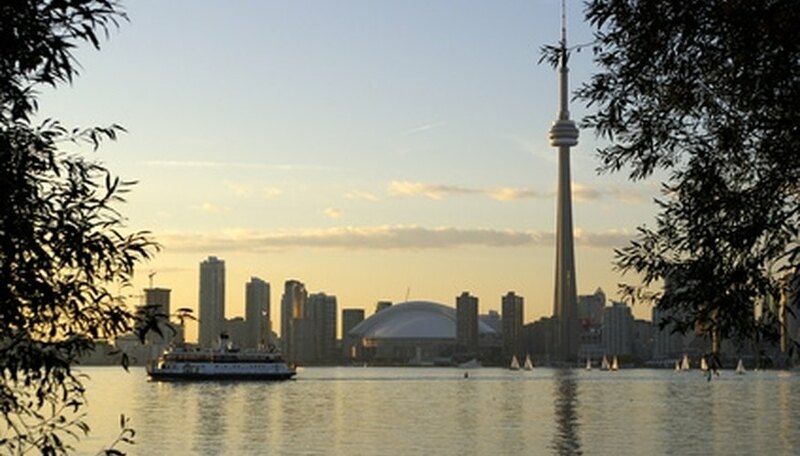 Toronto, Canada, is known for many great things, including a highly acclaimed dining scene. The city's restaurants offer expert chefs, unique culinary creations and exclusive romantic settings. Whether you're searching for a quiet, quaint bistro or a vibrant restaurant on a busy street, Toronto offers ample dining options with breathtaking backdrops. Toronto offers romantic dining options. A cozy cottage is the perfect setting for a romantic evening, and Auberge du Pommier offers a charming rustic venue that romantically adapts to the season. In the summer, you can enjoy an al fresco table by the floral terrace, while in the winter, a wood burning fireplace warms up the room. This elegant French restaurant may offer a traditional setting, but it serves modern French cuisine accompanied by an impressive 500 label wine selection. The desserts are delectable, and the service is seamless. Auberge du Pommier is a romantic dining retreat not to be missed. Oro is described as an undiscovered gem along Elm Street in downtown Toronto. Glistening with elegance and sophistication, the decor and color scheme garners a romantic feel. The dining room offers a tenderly lit fireplace and floor-to-ceiling windows displaying scenic views. Oro's menu features an Italian Mediterranean fusion with plenty of flavor. Try the grilled veal chops, or gnocchi with butternut squash paired with your choice of wine from a vast selection that's offered by the glass. Oro is open for lunch and dinner every day except Sunday. Located atop the TD Bank Tower, Canoe lends diners breathtaking city views. The design is elegant and modern, with the feel of a metropolitan escape. Chef Anthony Walsh uses the freshest produce available combined with culinary creativity to serve dishes like seared blue fin tuna with wasabi caviar. The sommelier's selection offers an extensive list of unique wines to complement your meal. Complete a romantic evening by sharing an irresistible dessert like the warm ricotta hazelnut blintz served with maple-chai ice cream. Canoe is open Monday through Friday for lunch and dinner, while the weekend is available for private events. Canoe 66 Wellington St. W.
YisselC. "Toronto's Most Romantic Restaurants." Dating Tips - Match.com, https://datingtips.match.com/torontos-romantic-restaurants-6298358.html. Accessed 18 April 2019.